The LaQuinta Inn & Suites loves housekeepers so much they won a national award for it. Wyndham Hotels & Resorts named LaQuinta Inn & Suites Bonita Springs/ Naples North as the winner of the annual housekeeper contest for the LaQuinta franchise locations of 600 hotels. The winning team of housekeepers celebrated the award with Visa gift cards and a party. 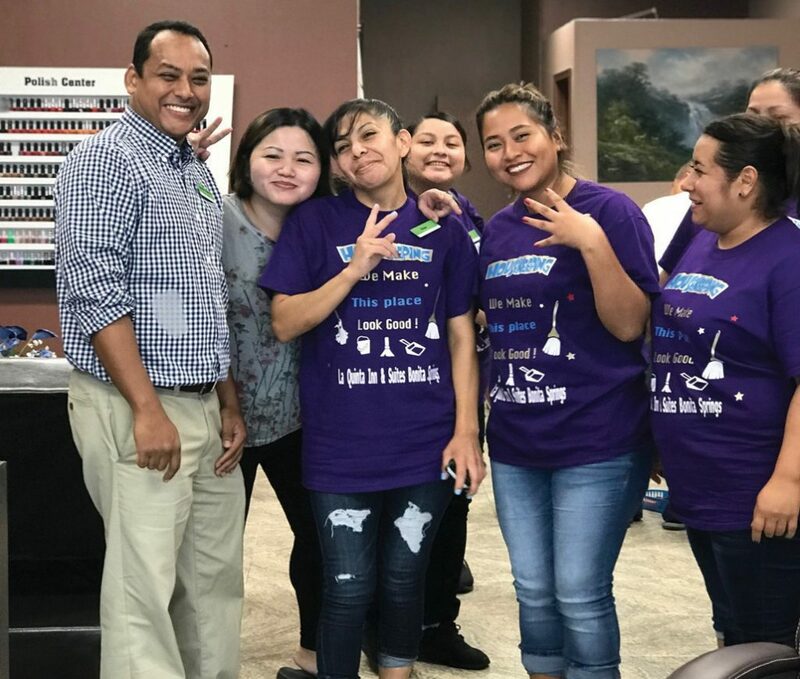 To earn the award, the hotel’s management had to show how they appreciated the housekeeping team by treating them to manicures, meals and tokens of appreciation such as flowers throughout International Housekeeping Week, Sept. 9-15. 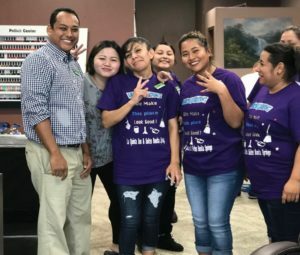 “For some of our housekeepers it was their first mani-pedi ever,” said Randy Charran, general manager of the hotel. Mr. Charran washed housekeepers’ cars to show his appreciation. He also made a YouTube video showing housekeepers receiving roses, lunches, car washes, prizes and manicures and pedicures at a nearby salon.